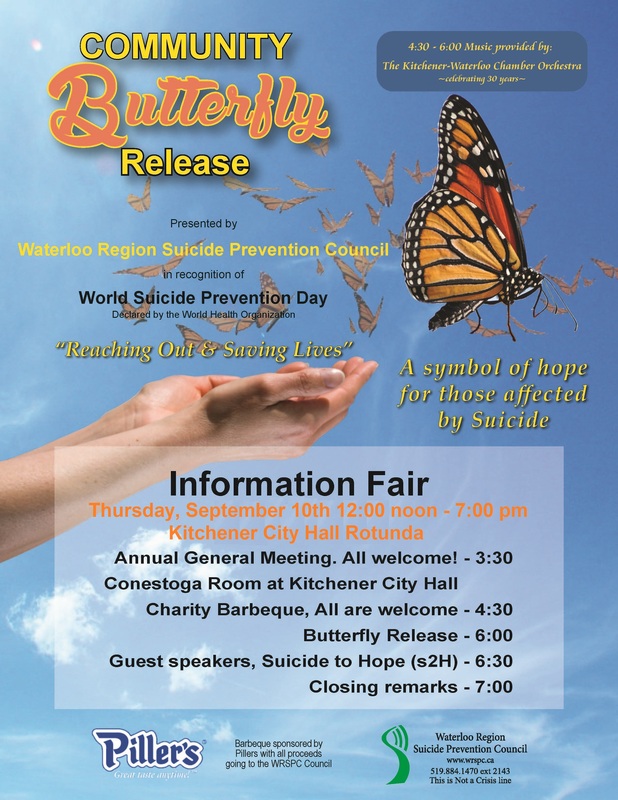 Presented by Waterloo Region Suicide Prevention Council in recognition of World Suicide Prevention Day, declared by the World Health Organization. Download World Suicide Prevention Day poster here. Thursday, September 10th – 12:00 noon – 7:00 pm. 3:30 pm – Annual General Meeting. All Welcome!